According to Jordan Brand VP of Footwear David Schechter, the Air Jordan 3 is going back into the vault for the foreseeable future. A huge piece of news from today's Air Jordan 2015 Retro Roundtable. According to Jordan Brand VP of Footwear David Schechter, the Air Jordan 3 is going back into the vault for the foreseeable future. 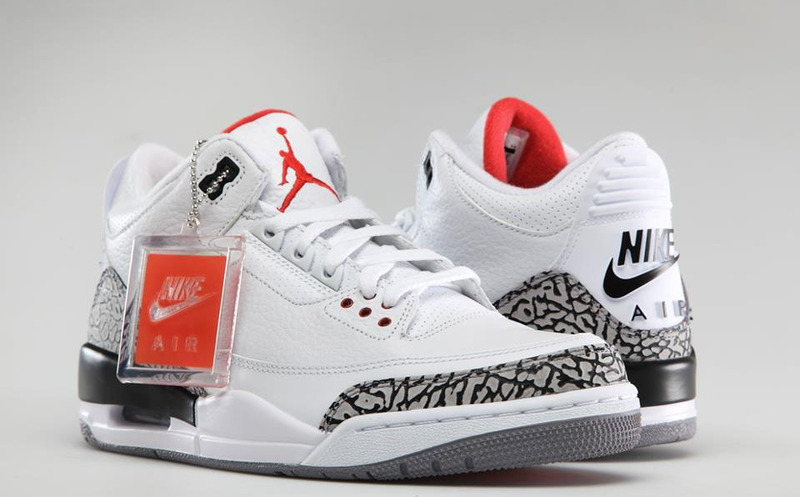 "The Air Jordan 3 is going back in the vault. The last color just dropped," said Schechter. That last colorway was 'Sport Blue,' which dropped on August 16. We're not sure how long the model will be shelved, but Schechter added that Jordan Brand needed to "reset" Tinker Hatfield's first Air Jordan, and that when the shoe does come back, it will be fully remastered. Yesterday, our own Zac Dubasik wrote about the overexposure of the Air Jordan 3 and how its legacy is being affected. Perhaps this news confirms that Jordan Brand officials have expressed similar concerns. When we polled 10 sneaker personalities about which remastered retro they wanted most, the Air Jordan 3 came up quite often. Now we know that won't be happening anytime soon. Do you think this is a good decision by Jordan Brand or are you bummed that you'll have to wait a while to get your hands on another pair? Let us know in the comment section below.